KBB.com Brand Image Awards. Boasts 22 Highway MPG and 16 City MPG! Carfax One-Owner Vehicle. 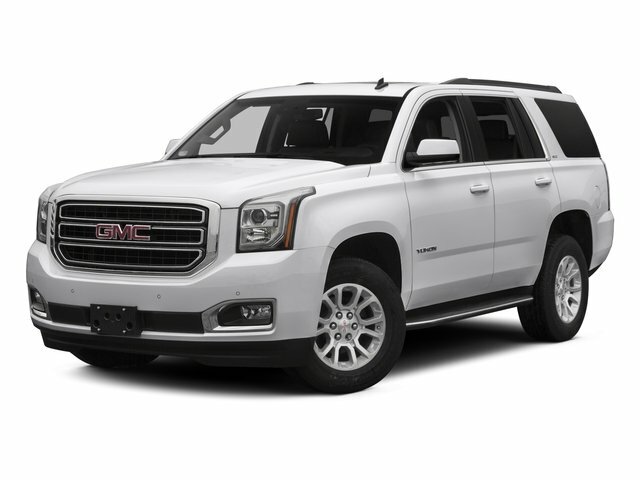 This GMC Yukon delivers a Gas V8 5.3L/323 engine powering this Automatic transmission. WHEELS, 20 X 9 (50.8 CM X 22.9 CM) POLISHED ALUMINUM, TRANSMISSION, 6-SPEED AUTOMATIC, ELECTRONICALLY CONTROLLED with overdrive, tow/haul mode and tap up/tap down shifting (STD), TRANSFER CASE, ACTIVE, 2-SPEED ELECTRONIC AUTOTRAC with rotary controls, includes neutral position for dinghy towing. *This GMC Yukon Comes Equipped with These Options *SUSPENSION PACKAGE, STANDARD Increased capacity, Premium Smooth Ride with Air leveler, OPEN ROAD PACKAGE includes additional 9 months of SiriusXM Radio and NavTraffic service, (CF5) power sunroof, (U42) rear seat entertainment system and on SLT (IO6) Audio system with navigation, LICENSE PLATE FRONT MOUNTING PACKAGE, HD TRAILERING PACKAGE includes (GU6) 3.42 Axle Ratio, (JL1) Trailer brake controller, (Z85) Suspension Package and includes (NQH) transfer case, active, 2-speed with 4WD models, ENHANCED SECURITY PACKAGE body security content, includes (UTJ) Theft-deterrent system, (UTR) self-powered horn, (UTV) interior movement and (UTU) vehicle inclination sensors, door and liftgate lock shields and glass break sensors in rear quarter glass and liftgate window, removes sunglass holder and conversation mirror from overhead console , TRAILER BRAKE CONTROLLER, INTEGRATED, TIRES, P275/55R20 ALL-SEASON, BLACKWALL, THEFT-DETERRENT ALARM SYSTEM content theft alarm, self-powered horn, SUNROOF, POWER, TILT-SLIDING with express-open and close and wind deflector, SLT PREFERRED EQUIPMENT GROUP Includes Standard Equipment. *Visit Us Today*If you have any questions or would like to schedule a test drive please feel free to contact me, Cory Covert, via email or at 512-583-3411 or visit us at 11750 Research Blvd Austin, TX 78759. Come see why we here at Covert Buick GMC Austin have been in business for 110 years and counting, and providing Texas with a superb selection. and exceptional customer service! Se Habla Español.